Jessie C. (?) married Francis Roland Houghton. Fred Allen Haughton married Anna Kellogg in circa 1895 Mar 5 y in 1900 census. Anna Kellogg married Fred Allen Haughton, son of Ferdinand Marcellus Haughton and Alice Glann, in circa 1895 Mar 5 y in 1900 census. Matilda Steffen married Fred A. Houghton, son of William Rappleye Houghton and Gulielma Maria Aylsworth, in Jun 23, 1898 both age 24; mar 10 y in 1910 census; his 2nd, her 1st. Frederic Houghton married Elizabeth Jane Cross in circa 1890 age 15; mar 20 y in 1910 census. Frederic Houghton married Helen A. (?) in circa 1923 1st mar age 24 and 28. Anna (?) married George Arthur Houghton, son of Jonah Houghton Jr. and Maria M. Remick. Emma M. Lake married George Edwin Houghton, son of Isaac Albert Houghton and Eleanor Walker, in circa 1901 age 24 and 46; mar 9 y in 1910 census; her 2nd. Ona G. Houghton married Jesse W. McLean. Jesse W. McLean married Ona G. Houghton, daughter of George Edwin Houghton and Emma M. Lake. George F. Houghton married May Antler Andrews in circa 1910. George F. Houghton and May Antler Andrews were divorced. May Antler Andrews married George F. Houghton, son of (?) Houghton and Rose Burke, in circa 1910. May Antler Andrews and George F. Houghton were divorced. Merle Coil married George W. Houghton, son of William Dye Houghton and Martha Jane Mayberry, in circa 1918 age 21 and 24 at first marriage. 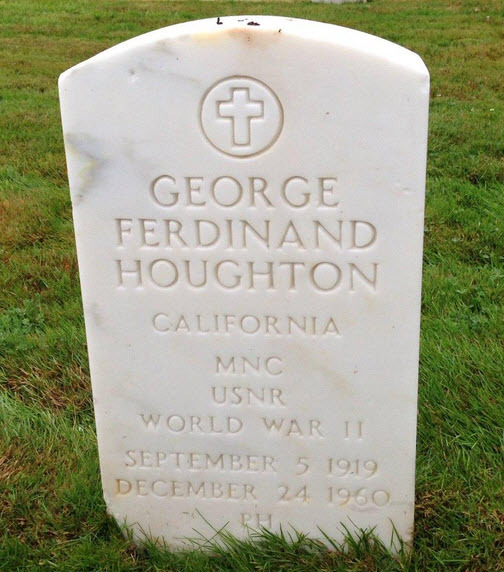 George Ferdinand Houghton married Iola J. Houghton. Grover Richard Houghton married Violet Delores Nelson in circa 1937 for 71 years. Grover Clifton Haughton married Lydia (?) in circa 1904 age 20 & 21. Lydia (?) married Grover Clifton Haughton, son of Dr. Asa Haughton and Louisa Weisbrodt, in circa 1904 age 20 & 21. Harry Garner Houghton married Rozella Pearl Nimmo in circa 1912 age 21 and 20. Rozella Pearl Nimmo married Harry Garner Houghton, son of James Houghton and (?) Thomas, in circa 1912 age 21 and 20.